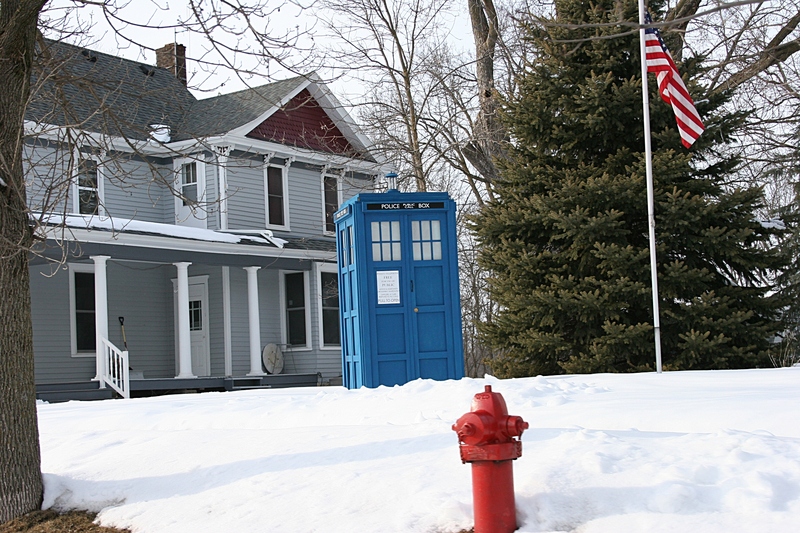 The TARDIS is labeled as a Police Public Call Box. A note on the front reads: Advice and Assistance obtainable immediately. Officers and cars respond to all calls. Pull to open. This shot was taken while driving westbound on Highway 60. TRAVELING EASTBOUND into Kenyon along Minnesota Highway 60, I spot what appears to be a portable blue toilet seemingly randomly planted in a front yard near an American flag clipped to a pole. Why would anyone place a porta potty in this visible location and in the snow near a flag? Turns out I am not viewing an outdoor loo at all, but rather a TARDIS. Exactly. What’s a TARDIS, you ask? My 19-year-old passenger son explains that a TARDIS is the featured mode of transportation on the BBC sci-fi television show, “Doctor Who.” The TARDIS, according to the series website, will take the doctor anywhere, anytime. With no time to stop and inquire about the Time and Relative Dimension in Space capsule, I can only wonder who placed this here and why? 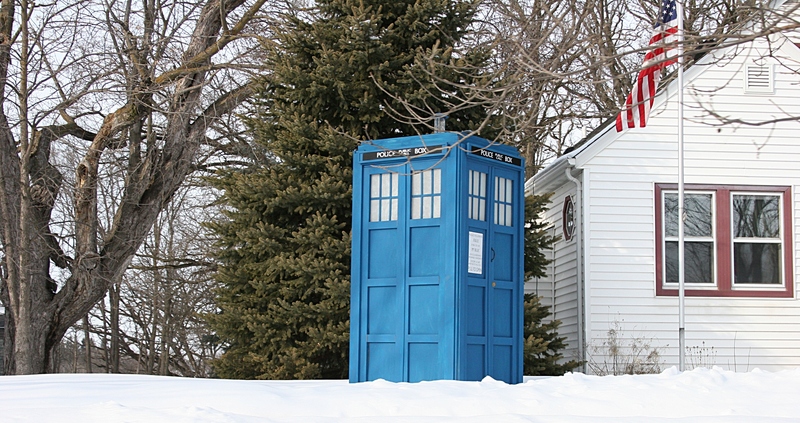 Another view of the TARDIS.